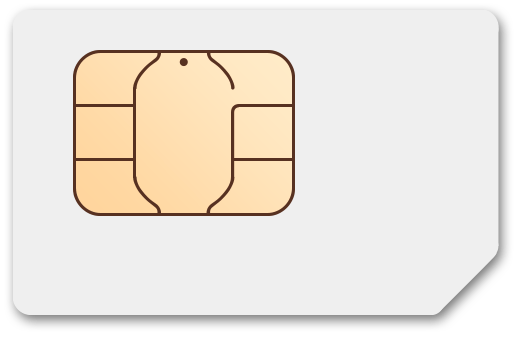 GoSmart Mobile Standard SIM, 5 PinZoo Points, and FREE SHIPPING! GoSmart Mobile SIM Kit: Includes a Free Nano SIM Card and 2 Months of $25/mo Plan for Only $35, 31 PinZoo Points, and FREE SHIPPING! 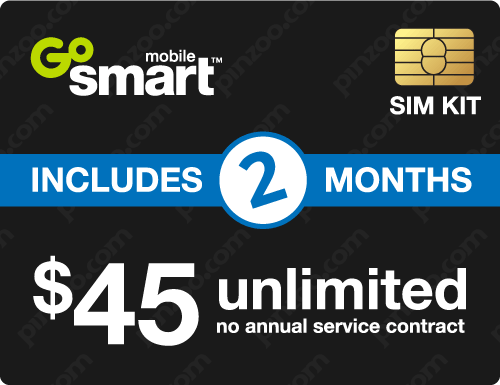 GoSmart Mobile SIM Kit: Includes a Free Nano SIM Card and 2 Months of $35/mo Plan for Only $45, 41 PinZoo Points, and FREE SHIPPING! GoSmart Mobile SIM Kit: Includes a Free Nano SIM Card and 2 Months of $45/mo Plan for Only $50, 51 PinZoo Points, and FREE SHIPPING! GoSmart Mobile SIM Kit: Includes a Free Nano SIM Card and 2 Months of $55/mo Plan for Only $60, 61 PinZoo Points, and FREE SHIPPING!